Please note international deliveries will take longer. EU deliverys take approximately 5 to 7 working days and international deliveries take approximately 7 to 14 working days. There is an extra charge for this service. All items will be sent to your Paypal Delivery address unless you inform us otherwise. applied before they release your parcel. Your item will be posted from the UK which is in the EU. being delayed, or any subsequential losses incurred once they have left our premises. to exchange or give you a refund. We only ask that the product must not have been worn and is in it's original packaging. You must return the item to us within 14 days from receiving it. Please note the buyer is responsible for the return postage cost. Please contact us if you have any problems with your t shirt/item before leaving feedback/Review. We will do all we can to help you. Please note refunds are paid minus the orginal postage cost if the item is not required and just returned. Unfortunately personalised t shirts are non-refundable, but we will discount the replacement t shirt by 50% off the listing price. We will not accept any items that have been decorated or altered under any circumstances. Refunds via Paypal: Any refund via paypal will be subject to a 20p transaction fee. You will receive your refund minus the 20p. This is a charge made to us by paypal for any refund made by the paypal system. This website and its content is copyright of WillDesign/Shoebob- © WillDesign 2012. All rights reserved. When you place an order on our website we shall email you an acknowledgement. Once you have checked out and your order has been confirmed you will not be able to make any changes to your order so please make sure that everything is correct before clicking the confirm button. We reserve the right to refuse an order. Non-acceptance of an order may, for example, result from one of the following: The product ordered being unavailable from stock Our inability to obtain authorisation of payment The identification of an error within the product information, including price or promotion If there are any problems with your order we shall contact you. All sizes and measurements are approximate, however we do make every effort to ensure they are as accurate as possible. Unless otherwise stated, sizes indicated are UK sizes. Your Order only constitutes an offer to purchase Goods from us, and does not form a binding contract until accepted by us. Where you order more than one item your Order contains a series of offers for each item individually. We are not VAT registered, all prices shown are the full price you pay, no VAT is charged. We reserve the right to change our prices. We deal with chargebacks very seriously. will seek to recover original payment, fees and additional costs through the Small Claims Court. result of any lack of availability or accessibility of the Website. All items & designs are unofficial and they are not official merchandise. We do not want to cofuse anybody into thinking they are. They are produced using our own unique artwork and therefore infringe no copyright under english law. Names are for descriptive purpose only. price of our products is the price in force on the date and at the time on which we process your order. We make every effort to ensure that the prices on our website are accurate. Nevertheless, as our sites contain a large number of Products it is always possible that, despite our best efforts, some of the Products listed on our site may be incorrectly priced. We will normally verify prices as part of our dispatch procedures and the price quoted on the website will be the price you pay. However we are under no obligation to provide the Product to you at an incorrect lower price quoted on our website, even after we have sent you a Dispatch Confirmation, if the pricing error is obvious and unmistakable and could have reasonably been recognised by you as a mis-pricing. 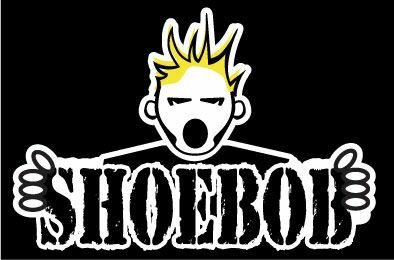 By Viewing or purchasing anything from this website you are agreeing to all of the terms and conditions of Shoebob & WillDesign. We are human and mistakes sometimes happen - we are more than happy to rectify any mistakes we may make.